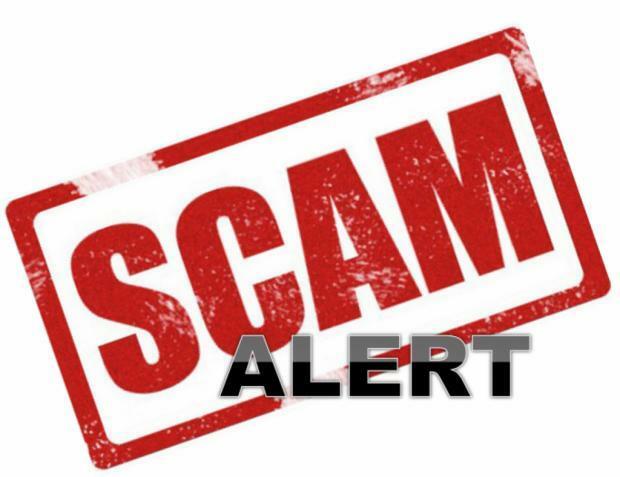 Let’s talk a bit about Protecting Yourself Against Timeshare Condo Vacation Rental Scams. If media reports are to be believed, scam rentals are everywhere, especially on Craigslist. And, there are a lot of self-described experts out there, scaring the living crap out of everyone, with how much due diligence/research/work they think you must do before you pull the trigger on paying for a privately owned rental. Sometimes we wonder, are these experts and article writers being paid by Expedia and Travelocity to scare people? Is it really that bad? We recognize, you may (and should) be cautious about renting online. Understand, no one can prove to you that they are not a scam. Don’t expect definitive proof, and don’t fall into the “analysis paralysis” trap. Do a little bit of quality research (remember, Mom told you to “use your head”) and you should be fine. 1. Pay with a credit card and/or a PayPal account. That way, you will be able to use the consumer protections (dispute resolution services) afforded by credit card companies. If you are a PayPal member, use your credit card and your PayPal account, so that you get the further benefit of PayPal’s Buyer Protection. Unless you have no other options, NEVER PAY CASH! Warning: If you are told you must pay cash or wire money, it is probably a scam. For your protection, we process all of our payments through PayPal’s secure payment system. In addition, our shopping cart is powered by Ecwid. All sensitive information is transmitted by HTTPS protocols during checkout, with the payments processed through PayPal. Your information is encrypted prior to transmission, and the entire process is SSL-secure. We do not see or handle your personal or financial information. You do NOT have to be a PayPal member to purchase from us (but it benefits you, if you are). If you don’t have a credit/debit card or Paypal account, or wish to pay by another method, please contact us. We generally will not accept checks, but we have other cash transfer options available (through Wells Fargo Surepay and Chase Bank Quickpay). 2. Talk with the person, don’t just text or email. Get their number and call them! Warning: If you call and get someone on a bad connection, with a thick accent, who knows very little about the resort, it may be a scam. In our case, please call Mark or Virginia at 520-761-1412. Sometimes all it takes is a friendly conversation, getting answers to a few questions about the resort. 3. Get something written, verifying that the person owns or controls the week being rented. You only need to do one of these three actions: Request to be emailed a copy of the reservation confirmation (for example, if the timeshare week is being brokered), or to be emailed a copy of the deed (this is needed only if no confirmation is available, and the timeshare is owned by the person). If neither of these two options can be done, you may also ask for permission to call the resort to verify the week (but be aware, this option can be problematic; see below for more information on why this is not recommended). Note: After you pay for the rental, the seller then needs to give you something in writing (generally it will be a confirmation of reservation, with your name on it) that says the condo is yours for that week. If that isn’t available, you’ll need to get a resort phone number and/or email address, so you can contact the resort to verify that the week is in your name (this could be the contact information for the resort’s front desk staff or for an offsite management company). We suggest you also reconfirm with the resort about 2-3 days before you arrive, just to be sure. If there’s a problem, doing this allows the person from whom you rented the condo enough time to correct it. 4. Look at the person’s website(s). Individual owners may not have a website, but most small businesses do. Well-constructed websites, with current offerings, secure payment methods, and generous amounts of resort-related information and links, are indicative that “this is a real business”. Most scammers have no website. Domain names cost money, and operating and maintaining a website can be a full-time job. Sometimes scammers steal/copy information from other peoples’ websites or ads, and use that information to throw together dummy websites or ads, but you should be able to see or “smell” the difference. These are the 4 actions we recommend. Asking for a rental agreement. We feel they are a waste of time, and the only way to enforce a broken one is through the court system. Scammers have caught on to using rental agreements as a way to look legitimate. Apparently, scammers often supply very detailed (but ultimately worthless) documents. Instead, you should know that your confirmation of reservation, coupled with your credit card receipt, will serve as your contract and guarantee. Calling the resort before you rent to ask about ownership or maintenance fee status. Owners are entitled to privacy, and most resorts will not provide this information. Ask the owner to see their confirmation or deed, instead. Asking for and calling references. This may seem like a good idea, but from the owners’ point of view, we don’t want to burden the nice people (our customers) with a bunch of random inquiries. People are busy enough. Besides, if we were scammers, we could have our partners-in-crime or relatives serving as our glowing references. Or, we could publish fabricated testimonials on our website. In either case, you’d never know they were phony. Asking to make partial payments over time. While this could be seen as a good faith way to protect both parties (“I’ll pay half now and pay the other half when I check-in”, for example), there are a lot of problems with this. Our payment system is not set up to accept multiple payments or to trigger reminders to pay. It is very important that we properly track our inventory (so we don’t accidentally double-book a week), and accepting payments over time disrupts this inventory system. Also, tracking partial payments leaves us “herding cats”, as we have to remind people to make their subsequent payments. And, if we don’t have full payment by check-in time, what then? Sure, we can cancel the renter’s usage, but vacation rentals are like fresh produce (or cruise cabins). They spoil immediately after the check-in date. Therefore, we have concluded, the only way to protect ourselves, while being fair to our customers, is to require full payment by credit card up-front, and then to quickly provide the customer a verifiable confirmation, so they can be assured of their vacation. Asking for an escrow. An escrow involves a “neutral party” holding the renter’s money until after the rental is over. In our view, escrows are a profit making scheme, promoted by banks and real estate title companies. Escrow is an inequitable process, as it does nothing to benefit or protect owners. Escrow costs owners money, both up-front and (potentially) after the rental ends. Owners do not receive the escrowed money until several weeks after the guest checks out. And, guests can raise issues with the condo or its amenities, and demand a refund. Escrows impose these and other conditions that most owners will/should not accept. Therefore, we do not agree to use escrows. And frankly, an escrow is an unnecessary expense if the renter pays by credit card, because of the card’s transaction dispute features. We hope this was helpful. But, if you are still leery about online private rentals, or don’t feel like doing some research yourself, then you should rent your vacation somewhere else, like through a large corporate travel website. It will probably be significantly more costly, and will probably not offer the resort you want (corporate websites emphasize hotel chains, not condos). But, you may believe that the added expense and smaller room size are acceptable, in order to achieve peace of mind.